For years nuclear fusion was the stuff of sci-fi books and movies, but technology has brought it, like so many other things, closer to reality. So close, in fact, that there are plans to build the first nuclear fusion reactor by 2025—a reactor that could yield a lot more energy than is fed into it and provide vast amounts of clean, sustainable energy. An international team of scientists is working on the biggest project in nuclear fusion in France, to build the largest magnetic fusion machine—a tokamak—and test the commercial-scale viability of this clean energy source. The ITER project is based on the pretty simple premise that the larger the vessel in which fusion reactions occur, the more of them occur, generating more energy. The tokamak produces magnetic fields that keep the superhot plasma inside and keep it moving—and hot—but controlling it for ever-longer periods of time and making it move faster to produce more energy has been a challenge. Now, the MIT scientists may have found the secret ingredient in an isotope of helium, helium-3. The team, from the Plasma Science and Fusion Center of the MIT, added trace amounts—1 percent—of helium-3 to the traditional combination and tested the new combination at the Alcator C-Mod tokamak. The results showed that the hydrogen-deuterium-helium plasma got wrigglier and hotter, producing 10 times more energy than before. The amount of energy produced after the addition of helium, the researchers explained, increased output by an order of magnitude, bringing it into the realm of megaelectronvolts. Ever since I went to school many many years ago, nuclear fusion was always between 10 to 30 years away from being commercially viable. I'm old now and it still doesn't work but the articles with the "break throughs" are still coming on a weekly/monthly basis. Now let's assume this stuff starts to work in 2030 - what for? It will be too late. By 2030 WSS (Wind+Solar+Storage) will be by far the cheapest / most convenient form of electricity generation. Too funny Mr. Gregner - I've been hearing the same thing for 50 years on wind, solar, storage. Which is STILL very, very expensive compared to gas/oil. Sadly true: 30 years back experimental tokamaks were capable of producing a sparkle of about 2 seconds and today it's more or less the same (with a lot more specialized knowledge around, but...). In 30 years we may just be in a slightly better shape but still very experimental I'm afraid. There is unfortunately widespread public misunderstanding with respect to this story. I invite readers to examine the scientific paper that relates what has actually been accomplished. You will find that fusion energy output has not in fact been increased but only the energy (temperature) of a small quantity of He3 ions injected into the fusion plasma has increased. The obtained results demonstrate efficient acceleration of He-3 ions to high energies in dedicated hydrogen-deuterium mixtures. No fusion reactor loaded with the new three component fusion fuel including the rare He3 element has it fact been observed or measured to produce any additional fusion output power (what has happened is that the tiny quantity of He3 injected has been successfully heated by radio-frequency heating to higher than customary temperature). Science reporters did not get enough from the researchers to report the research accurately. All of us in the fusion information and advocacy effort have to try harder to get the facts out straight. 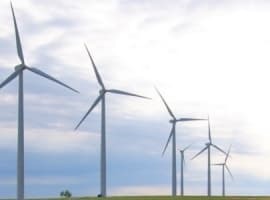 Let's assume there is some truth here and cheap, sustainable energy arrives in the next dozen years...how does this undo the damage already done to the environment? How does it replace the dwindling fish stocks? Expand the disappearing arable land? Make more of the non-renewable resources we depend so much upon and have far surpassed the point of diminishing returns? Or, does it actually serve to speed up our drawdown of these essential resources? Will it also halt the hegemonic aspirations of the competing empires when they don't have to wrestle over fossil fuels? (Probably not since such lunacy far predates such energy resources). Will it curtail the asinine monetary policies of the various central banks that are helping to fuel inequality, currency devaluation, and asset price inflation? (Again, probably not since such lunacy far predates energy issues). So, really, nothing is solved...and, more likely, issues of concern become exacerbated if energy limits suddenly vanish. Isn't it nice how 'breakthroughs' are always announced just before funding season? And if only we would give them wheelbarrows full of our tax dollars they would solve a problem by running a computer model (which ignores the engineering problem of how to maintain the structural integrity of the Tokamak's walls which are constantly bombarded by high energy protons, ) Until they solve the material problems which arise from high energy proton bombardment of the walls, their 'breakthrough' which is nothing more than a computer model, won't be worth a bucket of warm spit. "Now, the MIT scientists may have found the secret ingredient in an isotope of helium, helium-3." Great! Helium is already one of the less common elements on Earth and helium-3 is only 0.0002% of that. Are we to base our energy system on such an extremely rare isotope? Good to hear progress is still being made. I remember their talking about both Fusion Nuclear power and Hydrogen as clean renewable fuel sources when I was in Science Class in high school. That was in the mid 70s. I suppose change happens so fast these days in many fields that we've come to expect it in months or years, not bit by bit over multiple decades. The slow movement in fission, fusion, hydrogen etc are one of the reason's I think the Global Warmists and the corrupt politicians who buy into the left wing hysteria are just trying to pry out trillions of dollars and/or more power for themselves. If they really thought the planet was in danger we'd have a lot more new technology safe fission nuclear plants already in operation, and huge amounts of money going into even more promising clean renewable energy sources like Fusion and Hydrogen. Yet they'd rather tax us until our eyes bleed and pass out hundreds of billions to corrupt 3rd world dictators than actually fund programs to provide plentiful clean renewable energy. Think about what the hundred billion Obama poured into Green Corruption with companies like Solyndra could have accomplished if spent on clean renewable Fusion technology, or even clean safe fission nuclear? I had to have a chuckle over this statement, "Science reporters did not get enough from the researchers to report the research accurately. All of us in the fusion information and advocacy effort have to try harder to get the facts out straight." The United States has maybe a handful of investigative reporters, and even less people competent in technology to talk about it. I live and work in Silicon Valley California and I've seen nothing but a slew of bad information and advice, for 20 years, with regard to any technology, or any other field I'm familiar with. I'm certain you are old enough to remember what Pravda was in the USSR in 1985. That's all the US has in 2017. The US does not have a functioning media. Look at who the author of this piece is - her name is Irina Slav. Who is she? "Irina is a writer for the U.S.-based Divergente LLC consulting firm with over a decade of experience writing on the oil and gas industry." These were considered the blow off party courses at my university. She doesn't even have a BS in... anything - not that it's necessarily important, but she's completely unfamiliar with technology. You want to get the word out? Write. You're retired, right? The problem has never been the ability to create energetic fusion reactions. The problem has always been the ability to sustain, contain & control those reactions in a fusion generator of reasonable cost. Cold fusion is much more practical. Here's an MIT professor who was beaten to death shortly after publicly exposing the fraudulent research. The very last sentence is the kicker. "The main problem: keeping the process going". Explanation: they can only keep this energy output going for a limited time. Most likely nanoseconds. Josh Gregner has it correct. Show me fusion that works then call it a breakthrough. As for Wind-Solar-Hydro being much more expensive than petroleum; well this is just a lie. Only natural gas, for the moment, is cheaper than wind and solar. Both will continue to drop rapidly as economies of scale and engineering research improve them. And nuclear will be nothing but a pipe dream for everyone but those who hope to colonize other planets. I'm perfectly happy they will be constructing and testing a full scale model... in France. 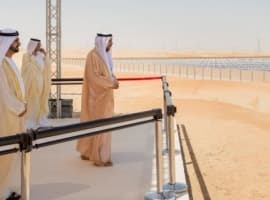 By the time they build a demonstration plant in 2030 distributed solar PV plus batteries will be as cheap as just the transmission costs of centrally generated electricity. 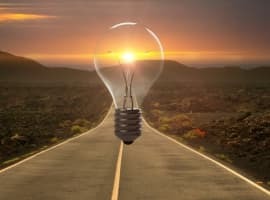 By the time they get the technology to potentially commercial in about 2040 much of the grid will have atrophied to the point that central generation won't be possible in most locations. Look at it this way. There are 3 places where fusion occurs, and only 1 of them is a continuous process, like we would need to generate usable electric power. One fusion process is inside a thermonuclear bomb in a trillionth of a second as the radiation from the fission part, fueled by the fission of atoms in the crushed plutonium core, heats the fusion fuel to millions of degrees. Yet, despite the enormous blast which results, the process is actually very inefficient, transforming only a small percentage of the nuclear fuel into energy. The majority of the nuclear fuel is wasted. Another spot where fusion probably occurs is in the shock wave from a supernova - an exploding star. That is how the elements heavier than iron were made. The last place where fusion occurs is at the center of stars. Stars are really, really big, so the gravity at the center is able to heat hydrogen enough to fuse it into helium. The hydrogen can't escape the gravity of the star, so it has to stay there and get heated into helium, and eventually into heavier elements as the star ages. That process stops at the element iron. Supernova explosions have to take the periodic table from there up to uranium, the heaviest natural element. Humans might be able to match those conditions in some machine which isn't a bomb that lasts for a billionth of a second, but I doubt it. So don't hold your breath waiting for the next fusion 'breakthrough'. That said, I do support the research, since if it can ever be perfected on an industrial scale at a price we could afford, it might transform human civilization like nothing else has. Sad that society continues to through good money after bad for an idea that most people working on will admit will never work. Mean while, like the other entrenched players like Uranium fuel cycle plants and Hot Fusion players each work hard individually to try and starve any competition of funds. Just ask the people working on molten salt reactors or any competing and more promising fusion technologies like P 11B... I had a successful TAP with PNNL and then had them refuse to take $100K from me to forward my project as it was labeled "to controversial". No TAP at LLNL but the same result. A researcher at LANL contacted me after a successful test of my hypothesis but they threaten him with loss of access if he published! This looks interesting, but takes us little closer to a self-sustaining nuclear fusion reactor delivering gigawatts of reliable power to the grid. Three big problems: 1) creating the materials that will withstand intense neutron bombardment for decades on end; 2) containing the 'wriggly' (as this author puts it) plasma, which gets all the more wriggly and uncontrollable as temperatures increase; 3) doing the first two at a cost that can compete with new power sources like wind and solar whose costs are declining rapidly and will continue to do so for many years to come. In short, it's a mirage. "Too funny Mr. Gregner - I've been hearing the same thing for 50 years on wind, solar, storage. Which is STILL very, very expensive compared to gas/oil." "The new renewable energy capacity installed worldwide in 2016 was 161GW, a 10% rise on 2015 and a new record, according to REN21, a network of public and private sector groups covering 155 nations and 96% of the world’s population. The new record capacity cost $242bn, a 23% reduction in investment compared to 2015, and renewables investment remained larger than for all fossil fuels. Subsidies for green energy, however, are still much lower than those for coal, oil and gas." Same results from dozens of sites. You need a very severe update on your ignorance of renewables. SEM fusor.. this could be a breakthrough, if it works.. A relatively small vacuum chamber (1 mtr), a couple of charged rings and spheres (+/- 200 kV) and a magnetic field of about 1,5 tesla. According to my computer simulation the deuterium ions and the electrons stay confined up to speeds of 3,5 E6 m/s. (for fusion is needed about 2E6 m/s). It could be considered as a modified penning trap, but the design seems to be something completely new. A bit similar as the Farnsworth–Hirsch fusor, but now without inner grid. To find out if realy fusion takes places an experimental setup should be built. Who will do this? Any university, research facility? There is no patent..
Now Nov 11 and no response from this ignoramus 'John'. Wind [cheapest] & solar are BOTH cheaper than any fossil fuel- as of NOW. I hate people who lie, either through ignorance or deliberately. Oil is cheap as it has ever been, in relative terms; Saudi Arabia is fast going bankrupt?? You write this article like ITER is operational. Part of the problem with fusion is ITER is sucking up a large percentage of the research dollars, yet is nothing more than a european make works project, claiming they will not even have first plasma until 2050. Research themany other (smaller) fusion projects, starting with DT and Boron11 to see where the future of fusion is headed.